Offering you a complete choice of products which include hydraulic goods lift, goods lift and dual mast goods lift. 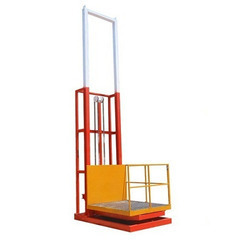 Owing to our immense industry experience, we have become a significant manufacturer and supplier of high quality Hydraulic Goods Lift. With the help of our competent professionals, we are engaged in offering our esteemed clients a wide range of Goods Lift. This lift is manufactured using supreme quality raw material and sophisticated technology as per the set industry standards. Also, this lift is strictly tested on various quality parameters. 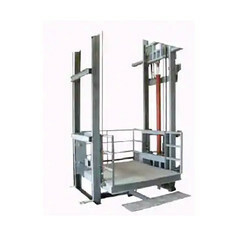 This lift is available in various technical specifications as per the requirements of clients.